This is a lovely photo. 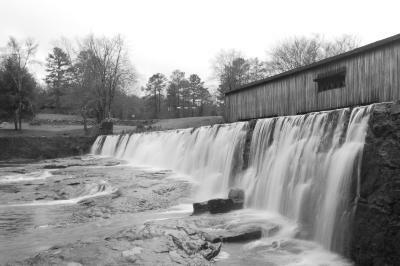 Not only does the black and white effect work well, the slow shutter speed works wonders on the waterfall. Thanks Tom for the submission, and for the meta data (the shooting information stored with images when the camera takes a photo).